Livin' the Dream: 9,000 year old trees. Before virtually every organized culture this tree stood. What is amazing about these spruce trees is how small they are. The ten year old trees in my backyard are bigger. But they wont live a thousand years. ScienceDaily (Apr. 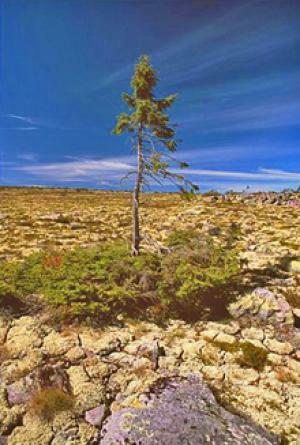 16, 2008) — The world's oldest recorded tree is a 9,550 year old spruce in the Dalarna province of Sweden.